Chris Spengler, owner of Afton Grove Country Retreat in Noordhoek – Cape Town, reports having recently found an Arum Lily Reed Frog (Hyperolius horstocki) on the glass pane of a dining door at the lodge recently. The Red Data listed species – Western Leopard Toad (Bufo Pantherinus) is resident for most of the year on the lodge grounds at Afton Grove Country Retreat. 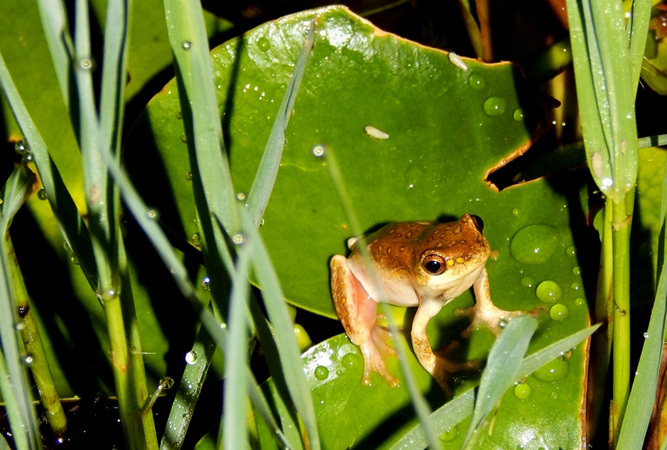 Other species that also occur at Afton Grove are: Clicking Stream Frog (Strongylopus grayii), Cape Sand Frog (Tomopterna delalandii) and Clawed Frog / Common Platana (Xenopus laevis). 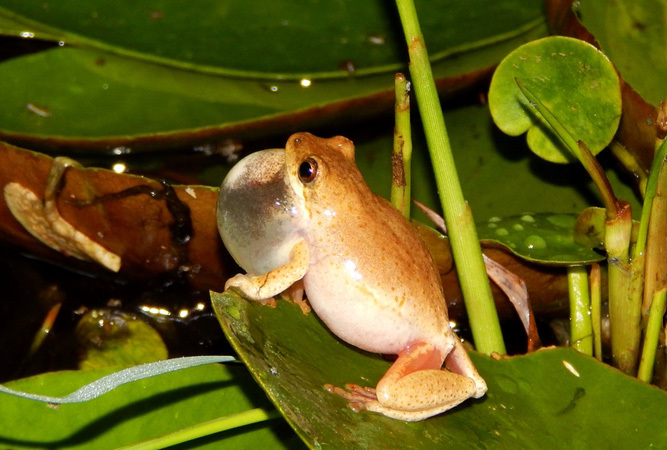 Frogs are very good indicators of the health of an ecosystem as they have the ability to absorb oxygen through their skin! If the local eco system becomes polluted, no more frogs! Following their tremendous success in the eco-tourism sector, Chris now plans to develop a Frogging list and route for the area. I find at least 4 of these frogs a day in my house. They are normally in the bathroom sink or in the toilet pan. Are they poisonous?. How do I prevent them from swimming up the outlet pipes? My daughter has an arum lily frog living on the inside of her bathroom window for the last three weeks. Although the window remains open it will not leave. Where is the best place to release it? She is in Milkwood Park. I live in Sun Valley, and my son pointed out a strange frog we have never seen before in our garden. Through internet research we have realised it to be an Arum Lily Reed Frog. I am not sure of its habitat or any other details, however, we have no lillies or even ponds in our garden.